Wash the tomatoes. 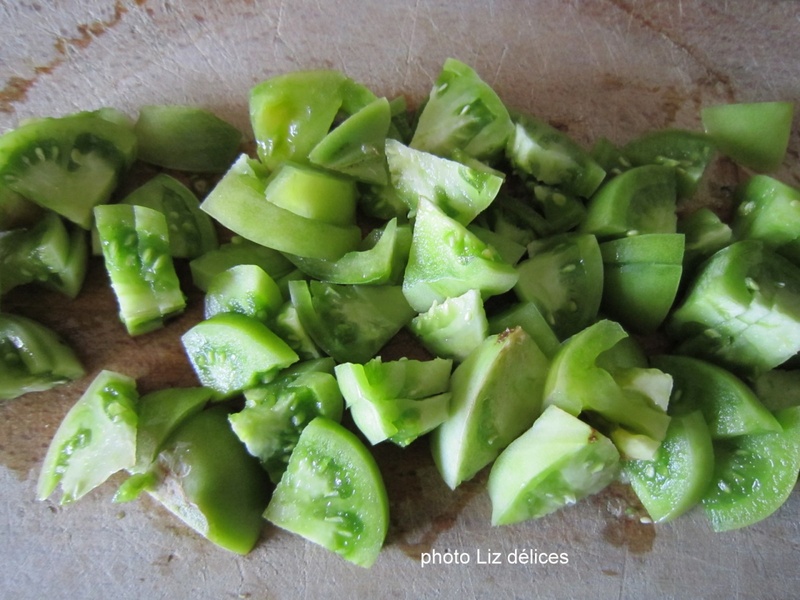 As they are green and have only tiny seed , do not seed or peel. Wash the lemons, cut into slices and then into small pieces. 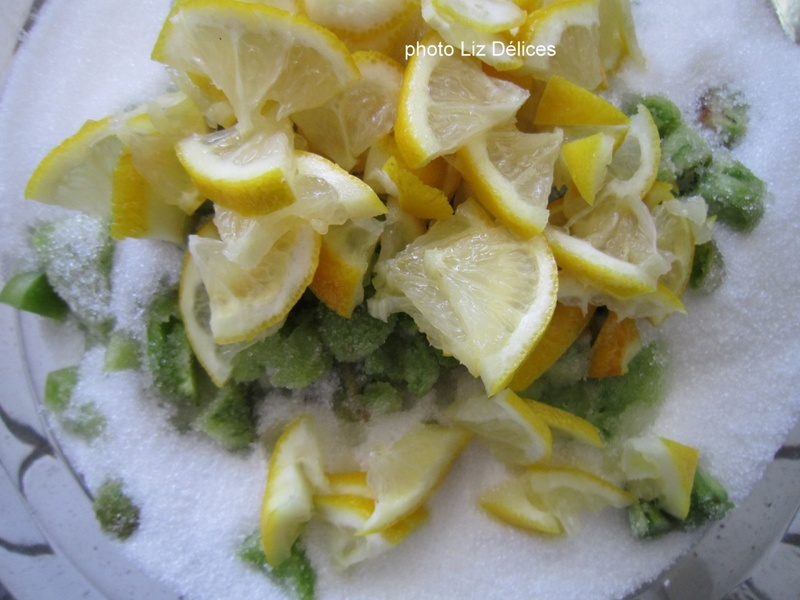 Put tomatoes, lemons and granulated sugar in a large bowl. 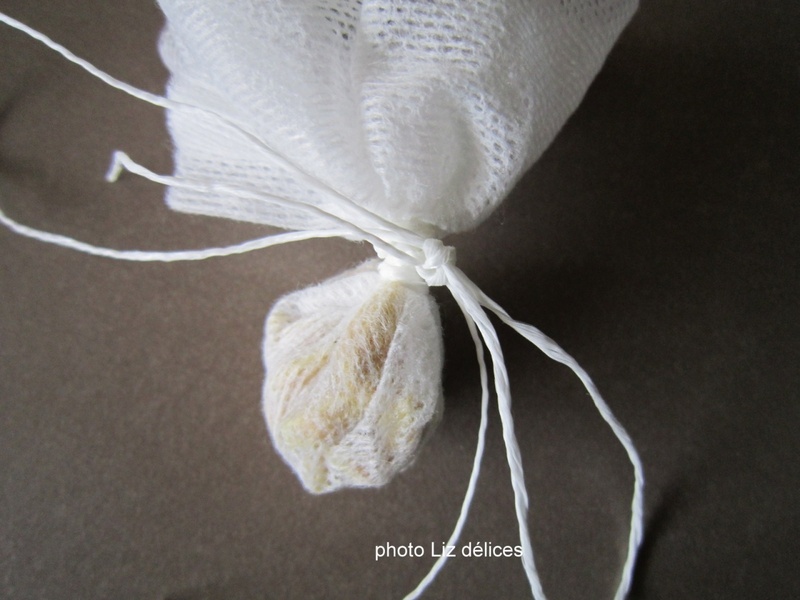 Put the seeds in a gauze and closed in pouch with roast string. The next day, pour into a preserving pan . Cook 30 minutes over medium heat (for evaporation), stirring frequently. Then lower the heat and cook for about an hour. To know when the jam is cooked, see "jam cooking" page in the "tips " rubric. 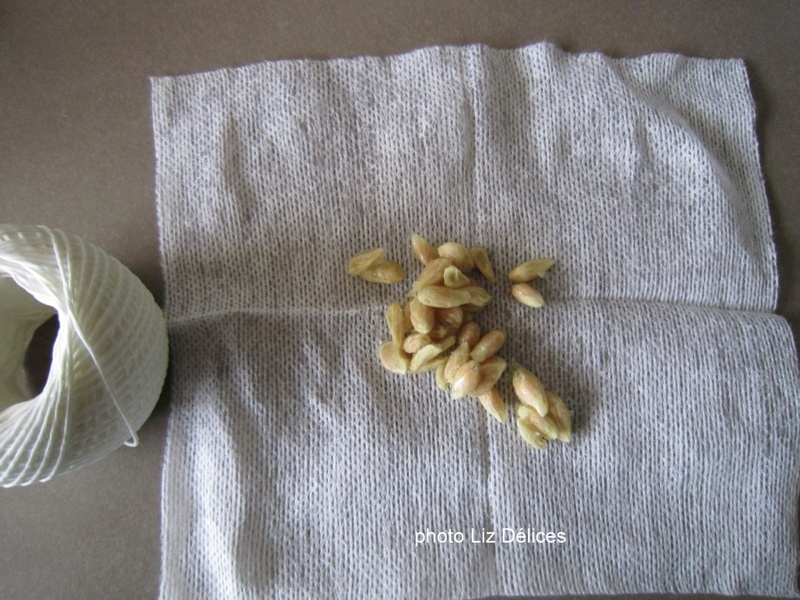 Remove the gauze with the seeds.